Drone racing is all about perfecting the First Person View (FPV) flight experience. FPV first started emerging in RC more than a decade ago, beginning with model airplanes. FPV on an airplane is thrilling, but something was always missing. You are tied to the structure of the airplane and can only look in the direction of forward flight. Even with sophisticated systems that tie the camera to your head movements, your vantage point from up high is restricted, as most planes are meant to fly in a single direction. The same can be said of flying a photography drone via camera. While you can rotate the camera 360 degrees, the sense that you are “flying” gets lost in the robotic non-responsiveness of the aircraft. You are just a spectator to the experience of flight. 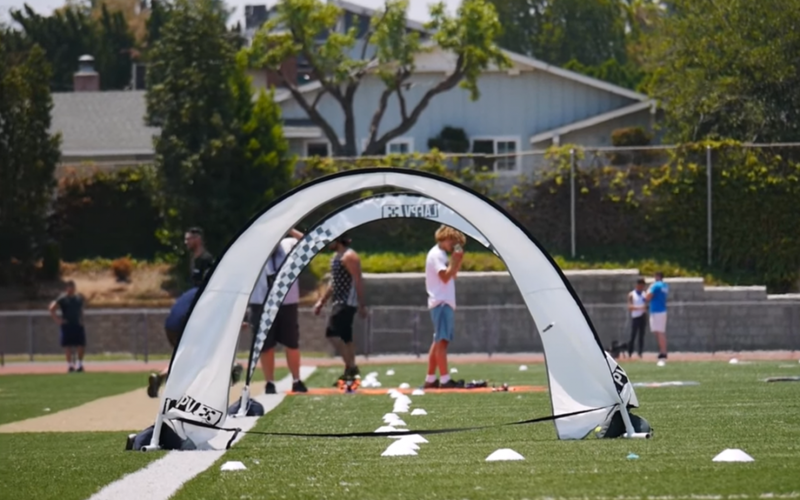 Drone racing changes the game with a combination of agility and power. The flight camera is fixed on most racing drones, but your flight experience is anything but boring. Racing quads love to fly sideways, upside down, looking straight at the sky, or down at the ground. A good pilot makes his miniquad his own personal flying camera with which he can keep anything in constant view. Think of it as flying like a bird rather than as an airliner. Want to see this in action? Check out a video where we fly through the seasons! I have several hundred hours of experience flying all types of general aviation aircraft, including small two-seater “prop planes” you see buzzing around the sky on sunny days. While these aircraft are thrilling to fly in their own right, I genuinely believe that racing drones are the truest form of flight I have yet experienced, and my feet never even have to leave the ground. Racing drones are small, maybe about the size of a frisbee. What’s more important though, is that all the gear you need to operate them: the transmitter, the goggles, the batteries, and even some spare parts, can easily fit inside of a backpack. Strap your quad to your backpack and hit the road! The key benefit to this portability is that your racing drone starts to become an accessory to your life. As I’ve gotten better at flying, it has become motivation to participate in other hobbies. For example: hiking up to the top of a mountain so I can fly my miniquad off some cliffs, or riding my street bike down some winding backroads to find a beautiful flying spot in the middle of nowhere. Moreover, being able to carry everything in a backpack opens up the variety of flying options you have. Want to focus on doing insane aerial acrobatics? Grab your backpack, find a location where you can utilize the environmental features, and fly! What about flying with other people? Grab some buddies and cones before venturing to a local park and set up your own race course. The variety of flying styles you can accomplish with such a portable setup is unlike any other RC hobby I have tried. 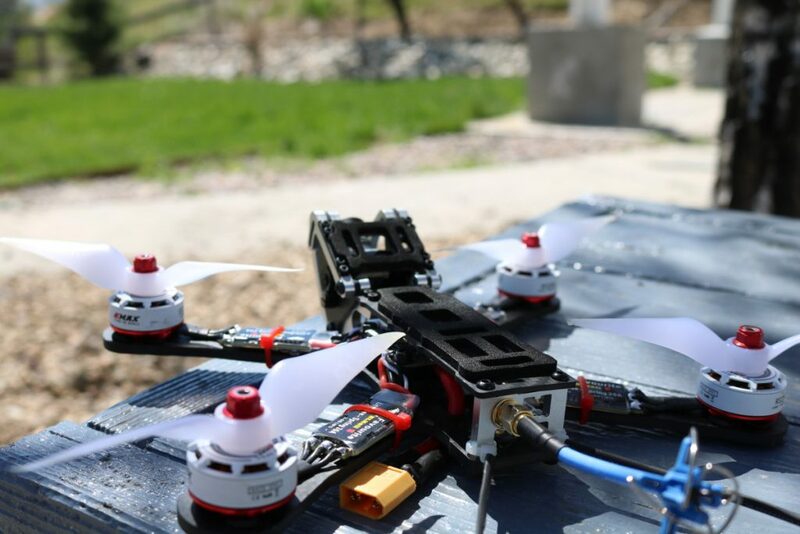 Flying a miniquad is closer to romping off of ridiculous jumps with an RC car than it is to flying any other aircraft. Our team has flown straight into concrete walls, broken thick branches off trees, and skimmed across puddles with only a few broken propellers worth of damage. Because of this, these quadcopters inspire you to try some truly insane things like speeding through a grove of trees two feet off of the ground or shooting a gap next to a waterfall. Compare this to any other type of RC flight five-ish years ago, and people would have thought you were insane to try any of the above. I’ve broken all types of planes, helicopters, and other RC aircraft from things as silly as landing the wrong way! Forget it if you crash hard with one of these platforms – most of the time you were looking at a full rebuild rather than swapping a few parts. Don’t get me wrong – miniquads can and do break. It’s just that a well built quad will take a significant amount of abuse before doing so. There’s a reason why a few vendors in the hobby offer “lifetime warranties” on their gear. My latest build: an Armattan Chameleon. The frame has a lifetime warranty. …and getting cheaper almost every month. 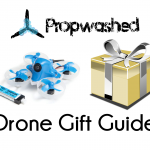 Compare racing drones to almost any other ‘action’ hobby and you are talking about order of magnitudes less cost. For the price of a single target pistol, SCUBA gear, or set of tires on a track car, you can buy all of the equipment and parts you need to get in the air… plus some spares to boot. And I’m not talking about crappy gear either. You can buy a racing drone that will keep you competitive in races for $280 that is ready to fly, or build your own for substantially less. Just make sure you buy lots of props! Obviously you can end up spending a lot more if you buy every new item that comes to market, or want to compete with the best of the best on top racing circuits, but just getting in the air won’t break the bank. In fact, we detailed out the order you should buy equipment in to get the most bang for your buck in the long term. This way, you can feel out the hobby before making a big investment! 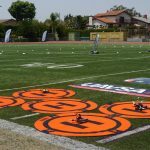 Learning to build and fly racing drones may seem daunting, as it takes a lot of dedication to become proficient. Furthermore, some of the skills required to keep your quadcopter in the air might take you out of your comfort zone. Many beginners may have never picked up a soldering iron or done any type of electrical wiring before. However, there is a wealth of knowledge and spirit of sharing in this community that you don’t see in a lot of hobbies. Online resources such as the RCGroups forum allow beginners to sort through posts on nearly any imaginable topic and ask questions to seasoned pilots. YouTube has an amazing array of build videos, reviews, and tips from helpful personalities putting out daily content. Even at local events there are tons of folks willing to give advice and get their hands dirty helping address any issues you may have. Gearing up for a race. Some of the friendliest people you can meet! Everyone is smart and passionate, but super friendly as well. I’ve never met a fellow pilot with an attitude. Everyone loves sharing their knowledge and geeking out over the latest electronics. It’s hard to say if this is because it’s still a budding sport or not, but I’m always proud to call myself a miniquad pilot. Interested in flying? Let us help! 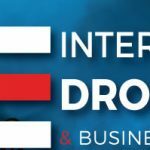 These are my top five reasons for getting into quadcopters, but they certainly aren’t the only reasons. 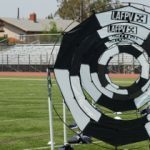 If you are at all interested in flying these unique machines, check out our drone racing guide. This curated guide takes you through everything you need to know to get started in the hobby. Furthermore, feel free to drop us a line if you have questions. 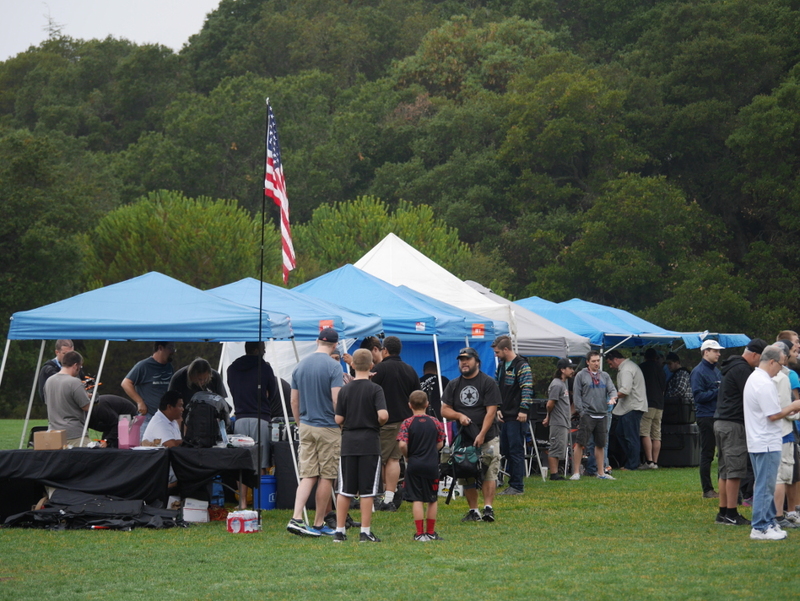 I mean it when I say the quadcopter community is helpful, and we want to help give back in any way that we can. Shoot us an email if you have a question or concern, and we will do our best to help!